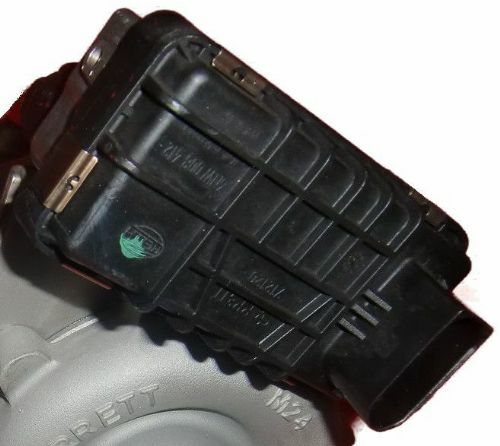 BMW 520d, 320d x3 2.0 Electronic Turbo Actuator G-290 - G-206 Hella Garrett Turbo 762965, 731877. M47D20 engine, 150 HP, E60-E61-E60N-E61N, 11657794022, 11652287495, 763091, GT1752V. Turbo Vanes is a UK supplier of reconditioned BMW turbo actuators for GARRETT turbos fitted with a HELLA brand actuator and BMW vacuum turbocharger actuators. We also offer new , repair and reconditioning service for most BMW turbo actuators at very competitive prices for public and the automotive trade sector. Our BMW turbo actuator work is carried out in our own UK factory by our experienced turbo engineers and electronics technicians . Our BMW turbo actuator repair service is the most cost-effective way to have your BMW operating to as it should once again. • We can repair, recondition or supply you a new ELECTRONIC TURBO ACTUATOR for you to get your BMW on the road as quick as possible. Turbo vanes has a wide range of reconditioned BMW electronic turbo actuators in stock for most makes and models. Find the right TURBO ACTUATOR for your BMW through the search box on the home page , simply type in the actuator G number or turbo part number. In the event that we cannot supply a reconditioned turbo actuator unit or repair your turbo actuator ,because we do not have one in stock or the turbo parts are not available yet – we can supply you a brand new actuator at highly competitive prices for your BMW. Please contact us if your actuator is not listed !